Recent S$375m equity issuance infuses the REIT with greater financial capacity to grow. Sharper focus with key markets Hong Kong, Singapore, Japan and Australia driving growth. Assumed acquisitions worth S$300m by end of FY20. BUY; Target Price adjusted to S$1.50. Maintain BUY, Target Price adjusted to S$1.50. Mapletree Logistics Trust (MLT) is back on the acquisition path. After its recent announcement to acquire a portfolio of modern logistics properties in Singapore, we remain excited on MLT’s growth prospects. Coupled with a stronger balance sheet post recapitalisation, improving organic growth outlook and a myriad of acquisitions, we believe that the REIT’s improved earnings prospects will translate into higher valuations going forward. Our Target Price is adjusted to S$1.50 after recent equity issuance. BUY! Our Target Price of S$1.50 is above consensus average of S$1.35. We believe that the street has not accounted for the improved fundamentals post acquisition and potential to surprise on the upside organically and through more acquisitions. Mapletree Logistics Trust, through its focus in key markets of Hong Kong, Singapore, Japan and Australia, offers stronger income visibility and growth than before. Estimates raised to factor in acquisitions. We have assumed S$300m of acquisitions by end of FY20, funded 60% by equity, lifting DPUs by a further 3.0%. Opportunities will likely come from its Sponsor which has an extensive pipeline of acquisition opportunities. We maintain our BUY call with revised Target Price to S$1.50. The stock offers a total potential return of > 20%. Acquisitions ramping up faster than expected. A faster-than-projected acquisition pace and/or a better-than-expected outlook for the Singapore warehouse market will translate into positive adjustments to our earnings estimates. Mapletree Logistics Trust (MLT) recently placed out S$375m worth of new equity (priced at S$1.21/unit with 309m new shares to be issued) to investors to part fund the acquisition of a portfolio of 5 warehouses in Singapore, priced at S$778m. The equity fund raising (EFR) implies an equity-to-debt funding ratio of close to 50%-50%, compared to our original estimate of 30%-70%. As such, we have revised our estimates marginally to account for the higher than expected units to be issued. Despite this, even with the higher new number of units to be issued, the deal is accretive and expected to raise DPUs by c.1.5%. Gearing is expected to remain at an optimal c.38% level. Our Target Price drops slightly to S$1.50 as a result. Mapletree Logistics Trust had a very busy 12-15 months where the REIT acquired close to S$1.8bn in new properties from the Sponsor and third parties. The deals in Hong Kong, China and Singapore are value-accretive and sharpens the REIT’s focus in key markets of Singapore, Hong Kong, Australia and Japan, developed markets which offer stability. 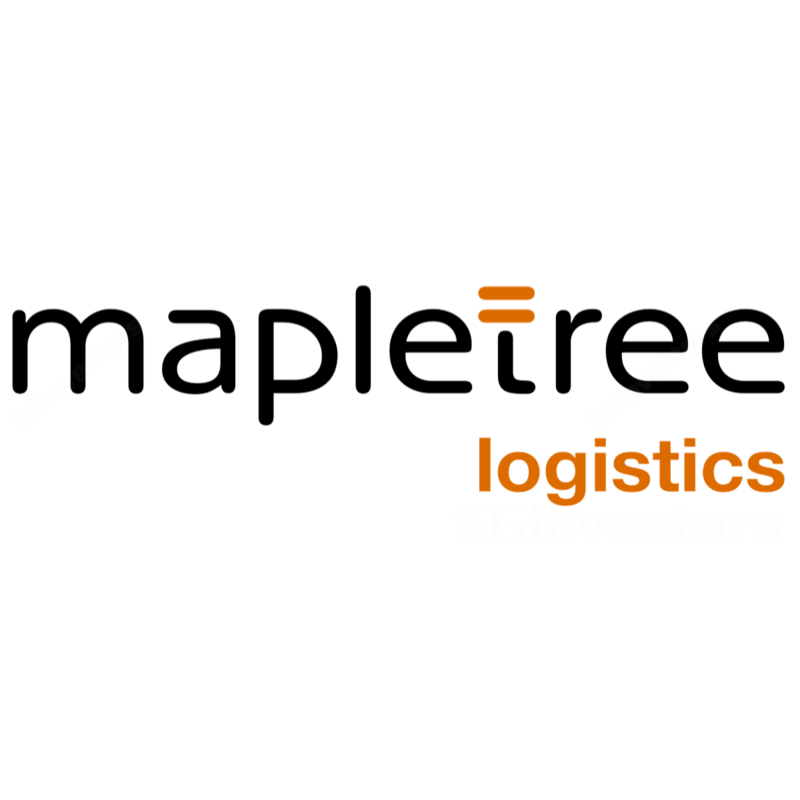 Looking ahead, we believe that Mapletree Logistics Trust will continue to look for inorganic growth drivers with the Sponsors’ extensive pipeline remaining as a key source. The most immediate in our view is the remaining 50% stake in a portfolio of properties in China that the REIT bought earlier in 2018. With a bigger balance sheet and more financial capacity to take on more, we now price in S$300m worth of acquisitions in our estimates by end FY20, partially funded by S$180m in equity. This would drive DPUs up by an additional 1% in FY21.